New Release: Faris Vol. 2 Male Bento Dance Pack by MOVE! 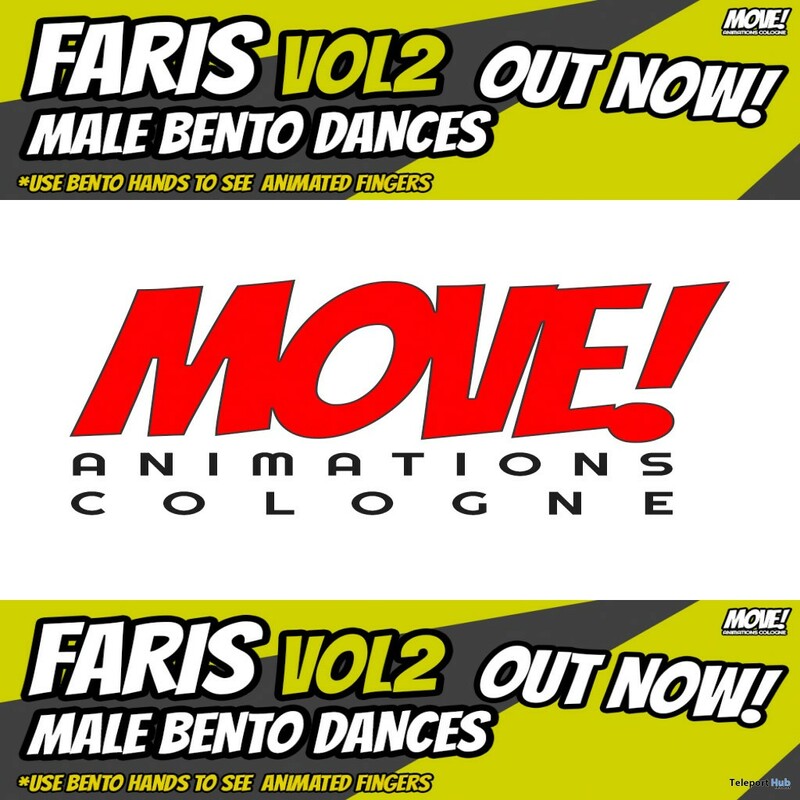 Animations Cologne – Faris Vol. 2 Male Bento dance pack features slow, smooth, chilled, & leisure dances dances with animated hand & fingers. These dances are perfect for single males at a club. Take a look at the Dances in their Inworld Store! 100% Professional Motion Capture Dances. Recorded with a NEW High Class Motion Capture System and Software. Faris Vol. 2 Bento Dance Pack Contains 10 Dances (#15 to #24) which were recorded with High Quality Cameras at a REAL CLUB with REAL DJs playing and REAL PEOPLE around in Cologne Germany.